Basket abandonment is a challenge facing every online retailer today, and in fashion approximately three-quarters of customers put something in their basket without going on to complete the purchase. Reiss recognized this problem and worked closely with SaleCycle to develop an email remarketing campaign that allows them to communicate with their hottest prospects and tempt them back to the site. One of the awesome things about online marketing is the huge amount of information you gather about your customers. When someone abandons a purchase online this tells us about the products they like, where they’re from and even their gender, so why not use this in your email remarketing? 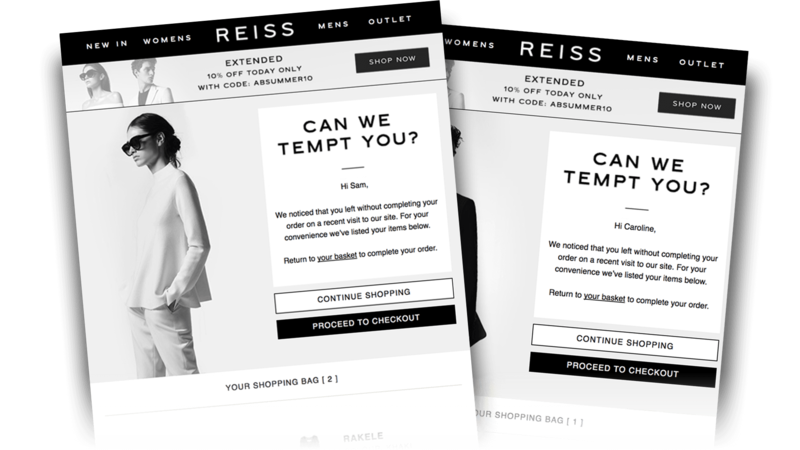 Reiss automates a different creative to each segment of their database, boosting clicks through increased relevance and making every one of their customers feel just that little bit more special. 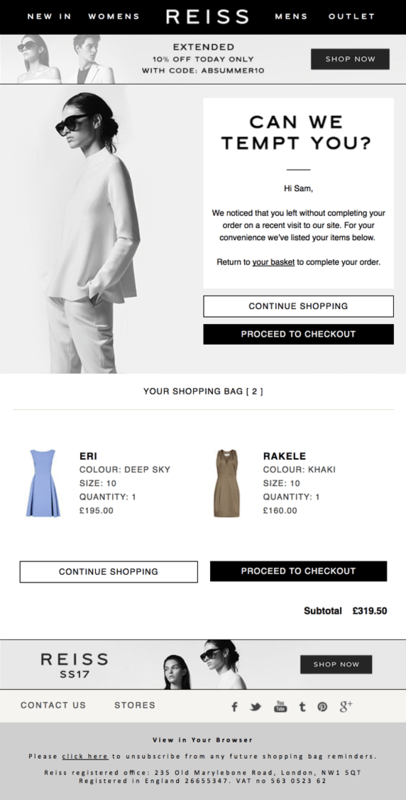 The Reiss creative has all the credentials of a successful cart abandonment email. With a modern and clean design, the Reiss creative boasts full product personalisation, clear Calls To Action and strong brand imagery, all complemented by a gentle customer service tone. The email produces great results (a 6% boost in sales) with customers appreciating the relevance of the email and returning to purchase. “At Reiss we pride our business on great customer experiences. Working with SaleCycle has not only improved our numbers, but it has improved the overall customer experience in the process. 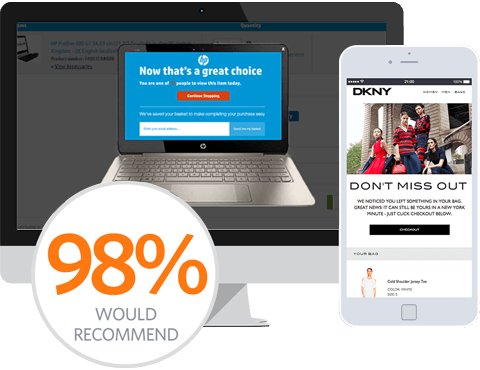 Our partnership with SaleCycle allows us to send timely and well-designed emails that show significant results across the campaign. Cart Abandonment Email	Gender segmentation.